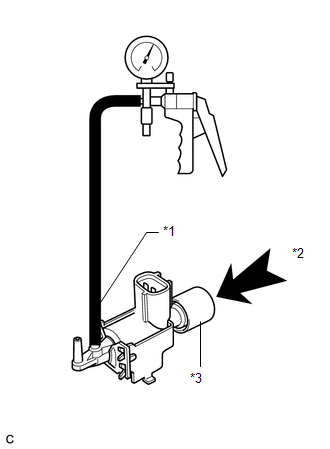 If the result is not as specified, replace the air cleaner assembly. 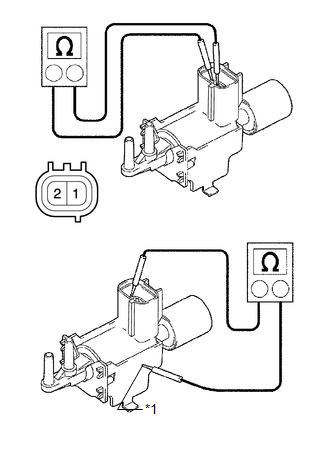 (b) Check the vacuum switching valve operation. (1) When vacuum is applied to port E, check that air is sucked into the filter. (2) Apply battery voltage across the terminals. 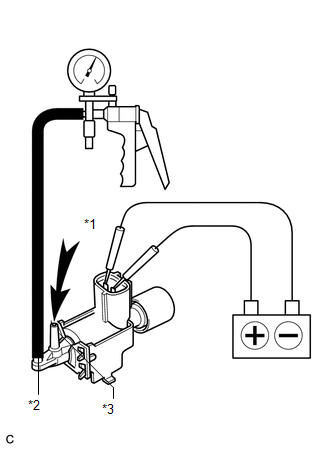 When vacuum is applied to port F, check that air is sucked into port E.